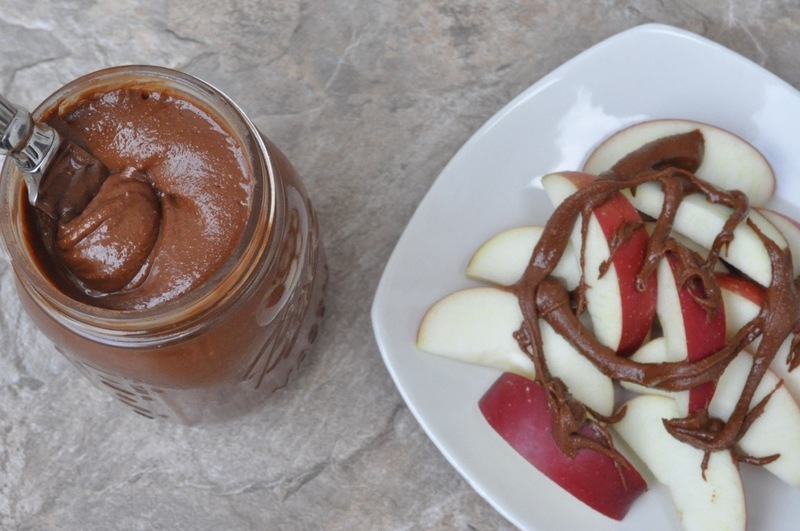 You just can’t go wrong with apples and peanut butter. It is a snack staple in our house. My boys like to just chow down on an apple, but of course sliced with peanut butter is extra special. If the boys had free access to apples we would probably go through at least ten pounds a week! I can’t fill the fruit bowl anymore because they eat them so quickly, I even find apple cores up in their bathroom trash can or better yet under their beds! A couple months ago I happened to come across a recipe for cinnamon peanut butter from Averie Sunshine of AverieCooks.com. It sounded brilliant! I love anything cinnamon and pretty much everything peanut butter too. I had to give it a try. It was amazing. Jack declared it the “special peanut butter” when he asked for it. I have since made a couple other flavored peanut butters and love them all, I just can’t pick a favorite. This time I decided to combine my personal favorite flavors in the peanut butter, cinnamon and chocolate. So back to the apples. They are an excellent vessel for holding peanut butter, plus they are nutritious. 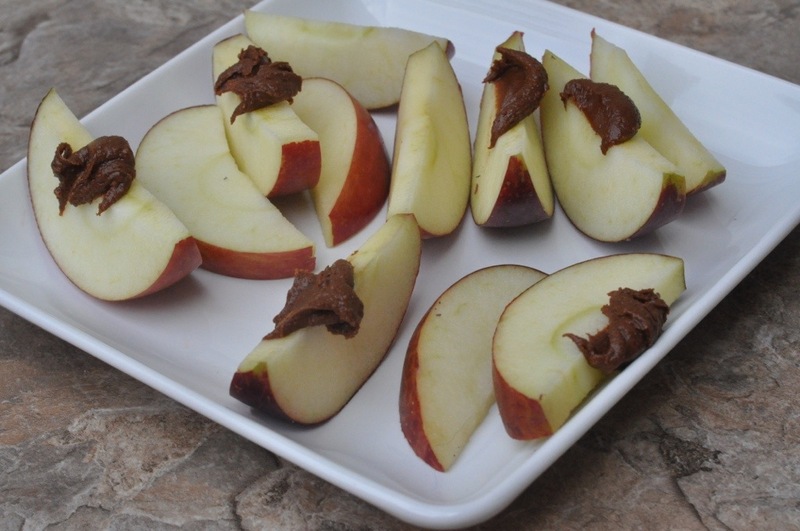 As long as you don’t overdo the peanut butter this is a pretty healthy snack. This snack is both kid friendly and adult friendly, a true winner. I hope you enjoy it as much as we do. Place the peanuts in a food processor. Process for approximately five minutes. It will be rather loud! The peanuts will go from chopped to clumpy and will eventually turn into a natural runny type peanut butter. Once the runny peanut butter is reached and it is a smooth consistency add the rest of the ingredients through the feeder tube while still processing. Process for about another two minutes. The heat of the food processor will help melt the chips as they are chopped finely. Once everything is incorporated it is done! As soon as the peanut butter is done it will still be on the runny side. At this stage it is great as a dip for the apples or drizzled on top. After it cools it will set and be more firm, a good consistency for spreading on the apples. It’s great both ways! Store what is left in jars and enjoy for a few weeks, if it lasts that long! This entry was posted in Snacks and tagged apples, chocolate chips, Cinnamon chips, gluten free options, honey roasted peanuts, Peanut butter, Spread on November 7, 2013 by Gretchen. What a unique recipe. I have never thought of making anything like this but this sounds very interesting and delicious. I want to give it a try. Thanks so much for sharing. Have a wonderful weekend. Ours is full of cold! We are cooling off at night but still warm during the day. Nice to be in the South this time of year! Enjoy your weekend. 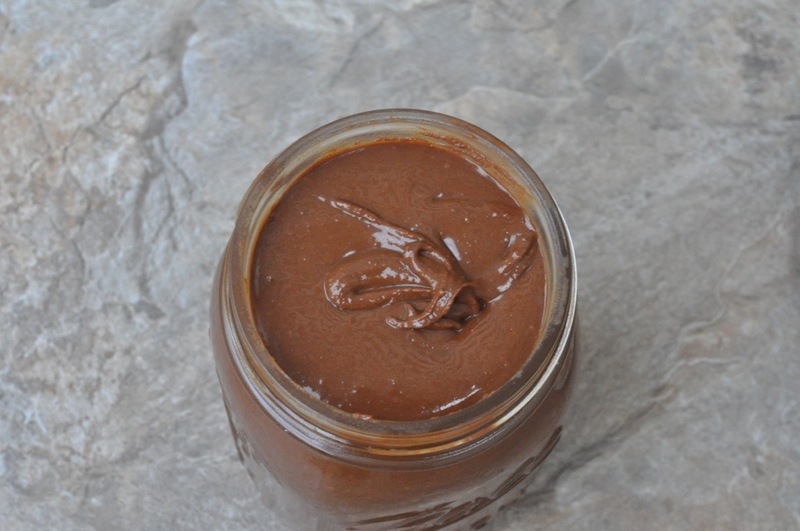 A wonderful recipe that sounds like a version of Nutella but without its downside. I’m sure the boys love this! The boys definitely do enjoy it. 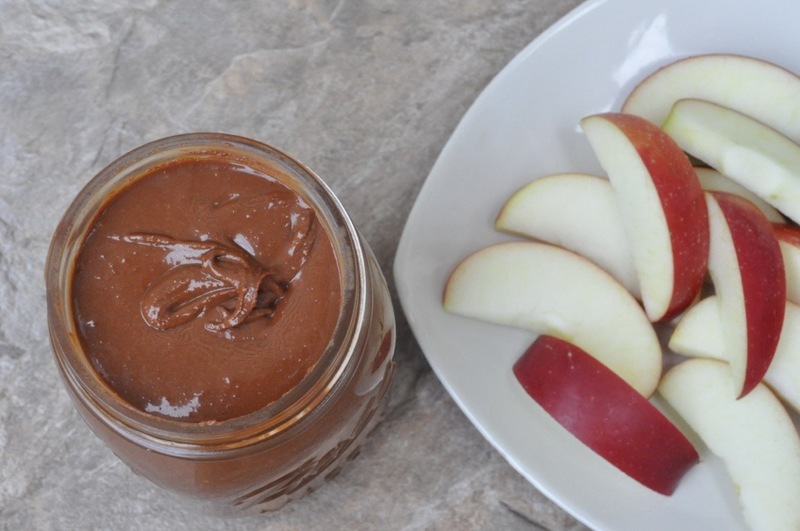 Better flavor than Nutella with the addition of cinnamon and not quite as bad for you. Still not healthy, but an improvement. That would be why it is a treat, not for every day!